A single place to download all of my current, and future, modders resources/requests. 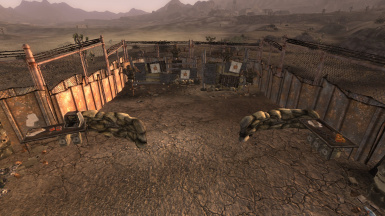 Honest Hearts DLC Required by file 5b. 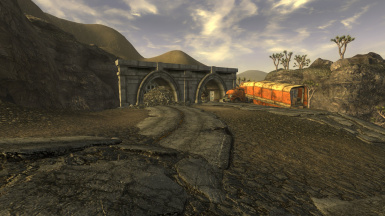 Lonesome Road DLC Required by files 2, 5c and 6b. 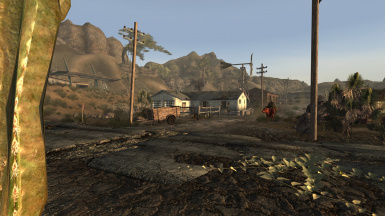 Old World Blues DLC Required by file 2. Any assets in my mods that are made by me can be considered modders resources, so long as I am credited in some way and that the assets are not being sold/used for income in any way. Any other assets will require you to check the permissions of the respective mods. DracoRex and PineappleSurprise - For the Plasma Carbine mesh included in the Weapon Resources file. 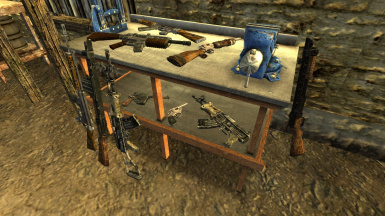 A single place to download all of my current, and future, modders resources/requests. I'll keep a list of what each mod/resource does, and a few images for each. 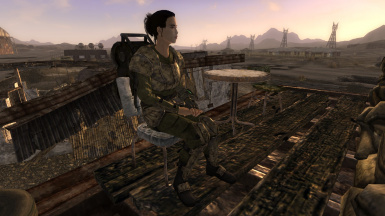 Don't forget that everything I have made in my other mods, not just the ones found on this page, can be used as a modders resource if you choose to do so. 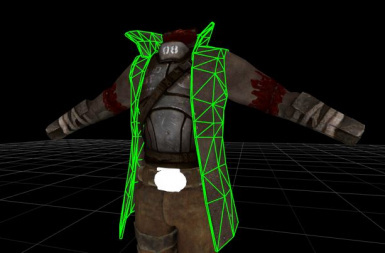 A guide, with images, which shows you how to edit the individual LOD meshes that come as part of New Vegas' default LOD. 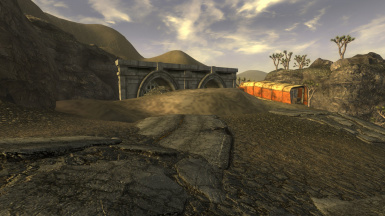 Useful for removing 'textureless blobs' caused by landscape editing, without having to regenerate the LOD of the entire Mojave. More detail found in the guide itself, obviously. A guide, with images, which shows you how to use Blender to combine existing meshes into a new weapon and export so it works in game. Note that the guide doesn't cover making a weapon mod with the GECK, just the Blender/NifSkope process. An online version of this guide can be found here. A simple mesh edit which adds the Elite Riot Gear duster to the Stealth Suit MkII. Requires Lonesome Road and Old World Blues. What remains of my first ever mod. A compound built on the edge of the Ivanpah Dry Lake above Crescent Canyon. 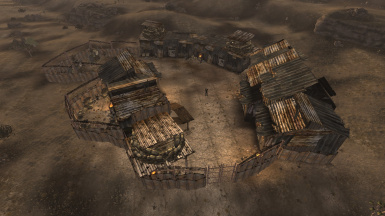 Contains 5-6 buildings with interiors, I may be wrong, but they should be navmeshed and there might also be several NPCs. Requires the base game only. 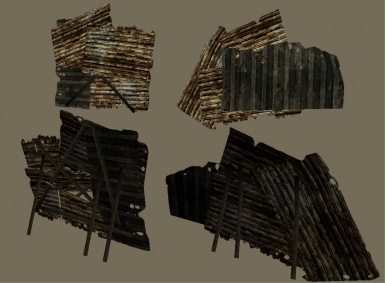 Includes some scrap walls, awnings and an 'open' wood shack. 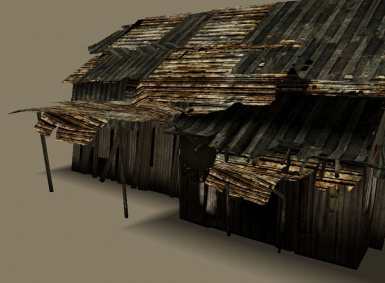 Made using the alternate wood shack assets, so as expected works well with those assets, and are affected by any retextures that affect those assets as well. Requires the base game only. 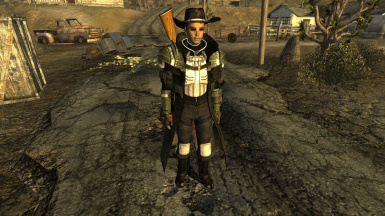 A variation of the Ranger Veteran Combat Armour, with a short coat (a). 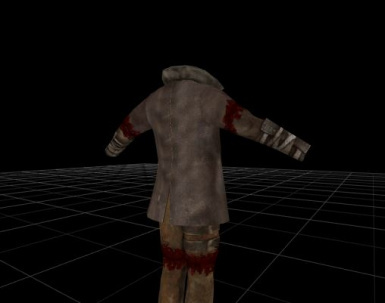 There is also a version with the short coat and removed shoulder pads, including a new texture (d), and a version with the short coat, removed shoulder pads and removed backpack, including a new texture (e). 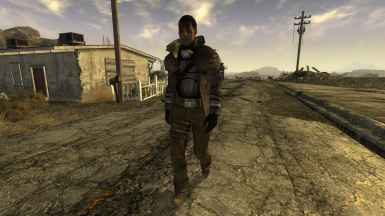 There are also versions which shorten the coat from the Desert Ranger Combat Armour in Honest Hearts (b), and a version to shorten the Riot Gear coats in Lonesome Road (c). Playable versions of all of these resources can be found here. Files a, d and e require the base game only. File b requires Honest Hearts. File c requires Lonesome Road. Sleeved versions of the green and black Combat Armour, including sleeve textures and normal maps (a). 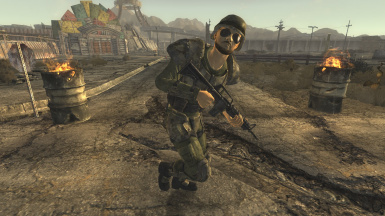 Also includes a version which adds sleeves to the US Army Combat Armour from Lonesome Road (b). Playable versions of these resources can be found here. File a requires the base game only. File b requires Lonesome Road. 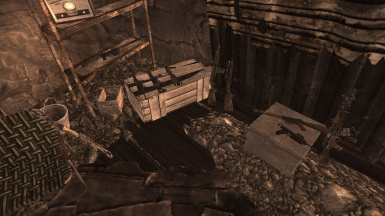 A pack of 20 new nifskope weapons, and one existing modders resource (included in this file). The 20 meshes of mine have all of the necessary textures, and a sample .esp included in the file. The existing resource included, the Plasma Carbine, is made by PineappleSurprise and DracoRex1000, so they must be credited if that weapon is used. Playable versions of these resources can be found here. Requires the base game only. 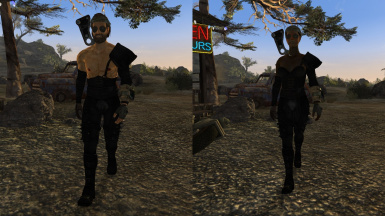 A variant of the Raider Sadist Armour, which has had the severed hands removed, and has been given a basic black retexture. 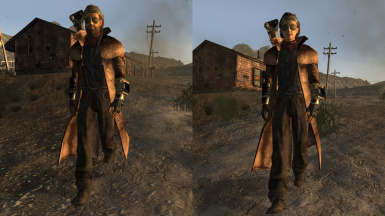 There is a replacer (a) version available to download, which replaces all versions of the armour, and a standalone (b) version which places a copy of the new armour in the Goodsprings Saloon. 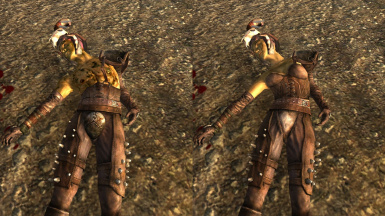 There is also a version which removes the hands from the existing sadist armour, but keeps the original texture and adds a standalone black version of the armour in the Goodsprings Saloon (c). Requires the base game only. 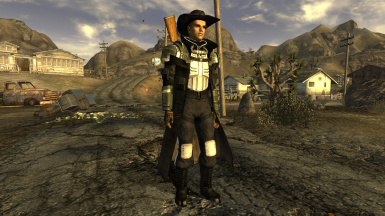 Adds the duster from the NCR Veteran Ranger Armour over the top of the Field Hand Outfit. Includes both a male and female version, although the female version does have a texture seam at the waist, because I had to apply a male texture to the female mesh to make the outfits similar. 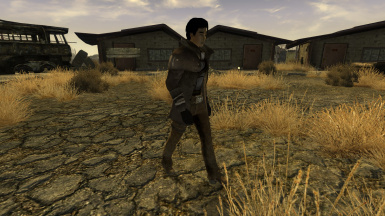 The outfit can be found in the Goodsprings Home across the street from the General Store. The duster has a weight and DT of 8, HP of 300, value of 250, and is repaired with the same items as a Field Hand Outfit. Requires the base game only. An attempt to remove the first person clipping when wearing the Ranger Vest Outfit. Male and female version included. Requires the base game only. The cape from the male and female legion centurion armour, and the straps that were previously hidden have been extended so they link up with the rest of the armour. Requires the base game only. Listed in the description of each resource. Any assets that I have made can be considered modders resources, and are free to use as long as I am credited. Any assets in my mods by other authors will require you to check their respective usage permissions.